Successfully Added Visible Dual Gear Gadget Clock to your Shopping Cart. Tired of paying expenses prices for educational toys? Then look no more! 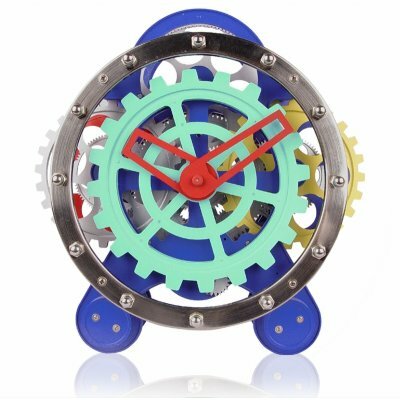 This visible Dual Gear clock is a great gift for teaching children about time and simple mechanics, as well as being an awesome centerpiece for your desktop. This wonderful clock takes two long lasting D batteries (not included) and boasts colourful gears that move in synchronization with each other. Chinavasion makes it easy to wholesale import with no MOQ and direct shipping right to your door.